When you talk about motivation and ambition you have to think about Rico. Success won't just come to you.. you have to get it.. Fearlessly. 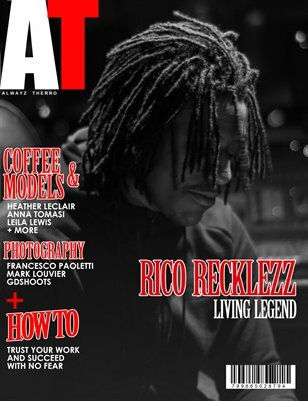 Chicago legend Rico Reckless embodies the spirit of a hustler who won't be denied. Fresh in style and fresh on the mic. How can he lose? From the music to the swag you can't deny he knows exactly what he wants to do. Few choose to hunt for what they want because they are not really living what they talk about. Back to back mixtapes. Bars for days. You have to respect what Rico has been able to do. Reminds you of 50 Cent G-Unit “Get Rich Or Die Trying” days when he destroyed everything he touched.